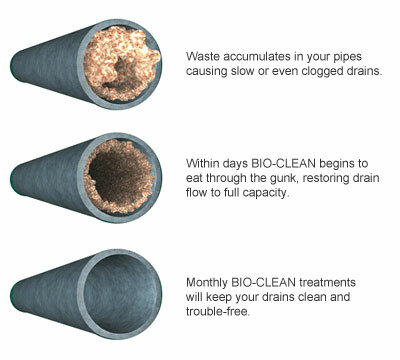 BIO-CLEAN is…a special combination of natural bacteria and enzymes that DIGETS dead organic waste found in your plumbing system: grease, hair soap scum, food particles, paper and cotton. When mixed with water, BIO-CLEAN immediately goes to work! Charlie’s Plumbing and Heating is your Authorized Bio-Clean Retailer. RootX – The Root Intrusion Solution. With a unique foaming action, RootX reaches the top of the pipe where 90% of the root instrusion occurs. Surfactants in the RootX formula strip away grease and grime on the roots, and an EPA registered herbicide kills the roots on contact and prevents their regrowth. For more information on RootX contact Charlies Plumbing and Heating, we are your RootX authorized dealer on the Central Coast. Your Home is 85% more likely to be damaged by water than by fire. Drywall. Carpet. Fiberglass Insulation. Plaster. Wood. Your home is made of these materials. All it takes to destroy any of these elements is a little water. Water corrodes rots and provides a fertile breeding ground for illness-causing bacteria and mold. Yet your home is surrounded by water. The relentless forces of nature pound on your home’s exterior. And hundreds of feet of pipes carry water to almost every room inside your home. Every minute of every day your home is at risk. Detecting water leaks as soon as the problem arises is essential to keeping your home protected. Protect your home with a Water Alarm. At Charlie’s Plumbing and Heating we want to help you protect your investment and prevent costly catastrophes. The simple solution to catching a water leak before it gets out of hand is a Water Alarm System. It’s a simple and very affordable solution. Charlie’s Plumbing and Heating is your Authorize Water Alarm System provider. Contact us for more information or take a look at our work.